When it comes to quality management, you can’t afford to compromise. The quality of your products and services is the heart and soul of your business; it is what your business lives and dies by, the foundation on which your organization builds its reputation with customers. For this reason, SAP QM training is critical for businesses large and small. At QMS, we believe that quality management is one of our strongest areas of service. We have taken the time to select specific resources and tools that our clients need to create SAP training bundles that give them the information necessary to fulfill their quality management goals with SAP. These bundles help our clients get to the bottom of their needs quickly, so that they can get the specific type of instruction they require without wasting time in areas they are not concerned with. 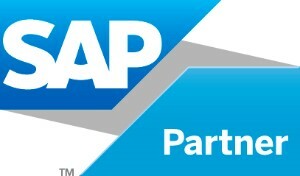 Not only do we offer these information-packed training bundles to help your business stay successful, we also provide customized training solutions that will help ensure that everyone from C-level executives to manufacturing employees understand how to use SAP for the benefit of the company. QMS’ services can also help you reach ISO 9000 and Good Manufacturing Practice (GMP) certification, which will give your company added prestige within your industry. Don’t let slipping quality management be the reason that your organization’s productivity is lagging. 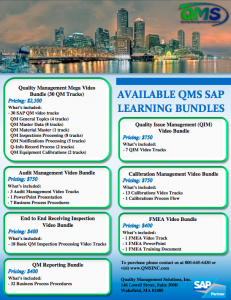 Instead, get in touch with our team at QMS to help you understand and apply all of the most important SAP concepts you need to know to help take your quality management to new heights.